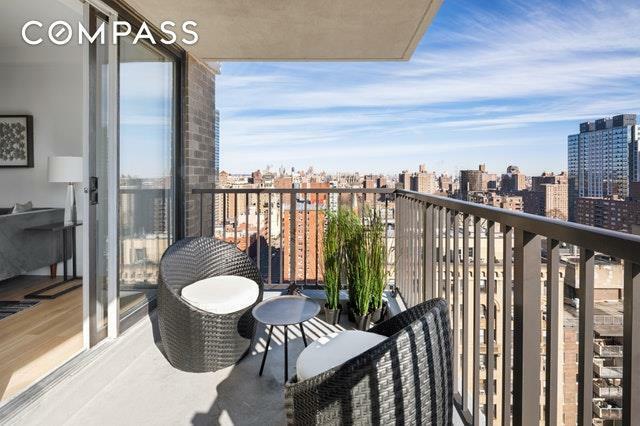 This beautifully designed two bedroom residence offers wide open views to the east and north including limited Central Park views. The living room features a wall of windows with dual exposures and a 111 sq. ft private balcony. 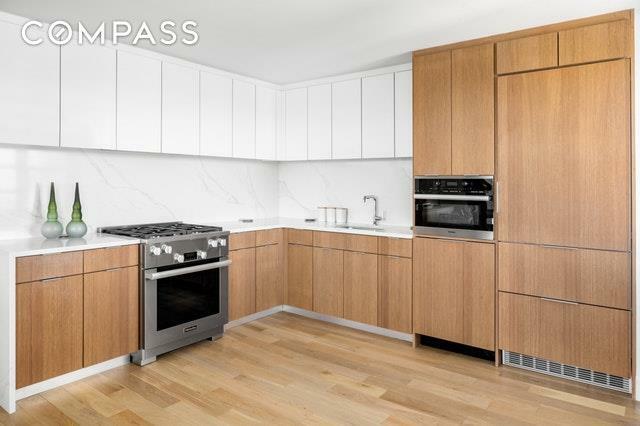 A brand-new finish package includes gorgeous wide plank white oak floors, brushed chrome hardware, and a dual Bosch washer/dryer. The open chef's kitchen features an L-shaped design with custom lacquer cabinetry and millwork, Calacatta countertops and backsplash,Miele range with Wolf chimney hood, Bosch dishwasher, Liebherr refrigerator, and under-cabinet lighting.The spacious master bedroom includes three large closets and eastern facingwindows. The well-appointed master bathroom is outfitted with Fiorana Bianco Statuario floor-to-ceiling stone wall covering, Fiorana Onyx tile flooring and a walk-in steam shower. The guest bath is complete with Affinity Statuario floor-to-ceiling stone wall covering, Carrara flooring with an accompanying chevron trim and a deep soaking tub/shower combination. Both bathrooms have a vanity with an undermount sink, Kohler polished chrome fixtures and accessories as well as a wall-mounted commode. 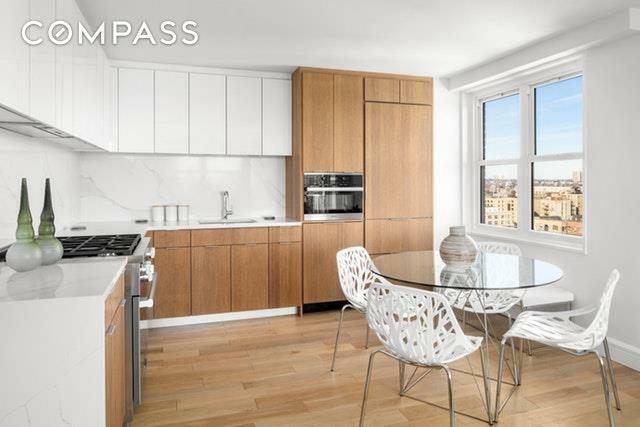 175W95 is a full-service condominium, offering a full-time concierge, residence lounge with co-working space, landscaped outdoor terrace, state-of-the-art fitness center, and children's playroom. The recently redesigned building features an immaculate new lobby, as well as renovated residences and amenities. 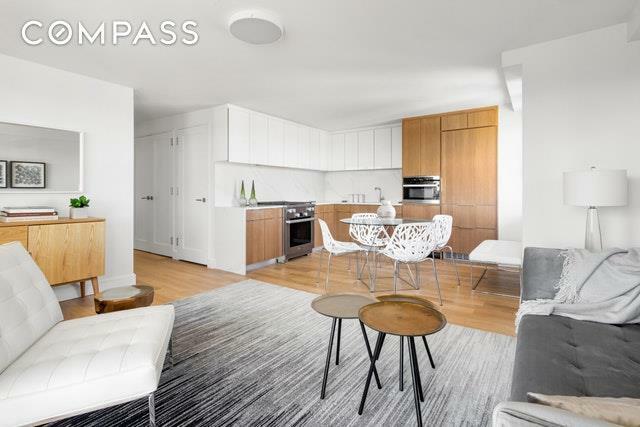 The convenient location is just moments from Central Park and Riverside Park, excellent restaurants, Whole Foods, and the 1,2,3, B and C subway lines as well as West Side Highway and Central Park Traverse.